Jamie’s Fund is a UK Registered Charity and is administered by a Board of Trustees. This page gives a brief pen sketch of the Trustees. Ewan grew up in Kenya and worked in Malawi for 6 years. While in Malawi he realised there was much more to health than giving out tablets and so trained in public health medicine. He worked in Liverpool for 14 years trying to enhance the health of its population, and has maintained his interested in improving health in low and middle income countries. 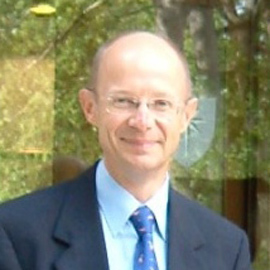 He is now visiting professor of global public health at the University of Chester and Chief Executive of Jamies Fund. Avril and Jim are Jamie’s parents. Avril is Director of Nursing at CWP and has been heavily involved in promoting links between CWP and Kisiizi Hospital since 2010. Avril was awarded an MBE in the 2016 New Years Honours List for Services to Mental Health Nursing. 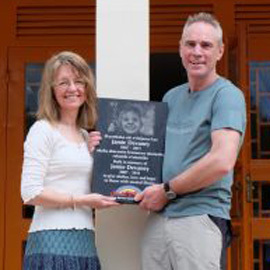 Jim has not only supported Avril in her work but has also been active in raising money for mental health in Uganda through running half-marathons and also cycling from Entebbe to Kisiizi (with Ewan) in 2011. 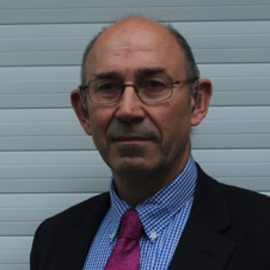 John joined the predecessor body to the Cheshire and Wirral Partnership NHS Trust as Financial Controller in 1993 where he worked alongside Avril, Maureen and Linda before taking early retirement in 2012. During this period he learned much about the challenges of providing mental health services across the board and gained significant experience in running a charity as the lead manager for the NHS Trust’s Charitable Funds. John is a Fellow of both the Institute of Chartered Accountants and the Chartered Institute of Management Accountants and it was an honour for him to be invited to become a Trustee and Treasurer of Jamie’s Fund. He has learnt quickly about the stigma and challenges facing the mentally ill in African countries such as Uganda. He is committed to harnessing his accounting expertise to supporting the charity’s objectives and fund raising e.g. registering with the Charity Commission, recovering Gift Aid and completing the abseil at the launch. John maintains the BT MyDonate pages for the Jamie Devaney Memorial Fund and is always pleased to accept your donations directly or indirectly. So if you have money to donate, please don’t hesitate to do so or get in touch with John through the Contact page! 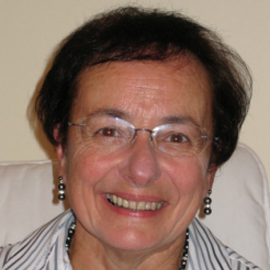 Maureen has been a consultant psychiatrist since 1982, practising mainly in Adult Mental Health, with a special interest in maternal mental health and perinatal mental illness. She has also worked as a medical manager, spending 6 years as the Associate Medical Director for the medical workforce in Cheshire and Wirral Partnership NHS Trust. 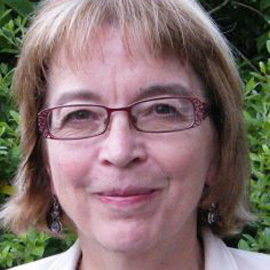 Maureen currently has a role in personal and organisational development for the Trust and is visiting professor of international mental health at the University of Chester. From 1986 to 1992 Maureen and husband Ewan lived and worked in Malawi. She held the post of Senior Government Psychiatrist (the only post for a psychiatrist in the country), and by supporting and developing mainly nursing staff was able to establish community mental health services which resulted in a surprisingly swift halving of the population of the national mental hospital. It was a matter of distress that so many faith based services rejected people with mental illness and this has been a focus of her continuing interest in, and support of, service development in both government and faith based units. In the great majority of developing countries there is serious stigma, rejection, and often cruel or degrading treatment meted out to people with mental illness, due mainly to traditional and spiritual beliefs about causes and effects of the illness. Maureen remains passionately committed to training and enabling staff in developing countries to understand mental illness, to provide welcome and good treatment, and to develop a vision for effective community care. I am a recently retired Clinical Psychologist; all my working life has been in local NHS adult mental health services. I am interested in psychological approaches to understanding and coping with psychosis and bipolar mood problems, as well as other mental distress such as anxiety and depression. In the late 1970s, I was privileged to be able to live and work in rural western Kenya for 2 years as a VSO teacher. Since then, I have always had a place in my heart for east Africa, and an interest in international development. I was part of the CWP scoping visit to Kisiizi Hospital in 2010, and returned in 2012 with OT colleagues to work on enhancing the therapeutic environment of the mental health ward. In 2015, two very experienced Consultant Nurses came with me to review and advise on the processes and procedures on the ward and in the outreach clinics. My Clinical Psychologist husband, Stewart, was also part of that visit, scoping services for adults and children with Learning Disabilities. It was heartening to return in May 2017 for the opening of the Ahumuza Mental Health Centre at Kisiizi. As a Trustee of Jamie’s Fund, I am a link to the CWP-Kisiizi Mental Health Partnership which aims to develop skills and capacity, particularly psychological approaches to understanding and responding to mental distress. 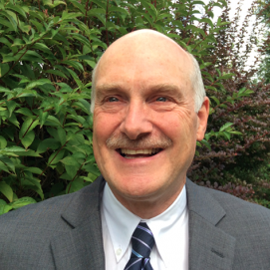 Hugh retired from his job as a Consultant with a major international IT consultancy firm at the end of July, 2014. Over 14 years he held a number of different roles in this firm and worked at senior level in a wide variety of organisations, both in the public and private sectors. Over the last four years he ran a significant development team based both in the UK and in India. Prior to this he was Contracts Director of a third-party logistics company in the UK, a role in which he ran both warehouse and transport operations as well as being heavily involved in contract negotiations and the design and implementation of logistics solutions. In total Hugh was involved in third-party logistics for more than 22 years. Although he earned his living in the commercial world, Hugh is an ordained Anglican Priest and it was as a Parish Priest that Hugh first came to know Jamie and his family. It is through this route that Hugh became involved as a Trustee with Jamie’s Fund, and he is delighted to be able to bring his business experience to support the work of the Fund. 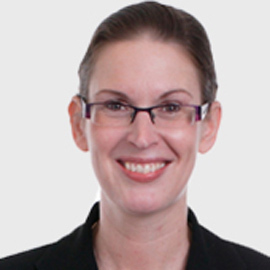 Jacqui Marsland is a practising solicitor and partner in a Solicitors Practice in Wrexham, Wales. She gained a law degree and then went on to complete the Legal Practice Course at Chester Law School. She qualified as a solicitor in 1998 and has been working in Wrexham for the last ten years. Whilst she specialises in Family Law she also deals with conveyancing and wills. Jacqui met Jamie’s parents through their mutual love of scuba diving and they have been firm friends since. Jacqui was honoured to be asked to become a Trustee of the charity. Jacqui was unware of the treatment of mental health patients in Uganda until she took up the post and she is now committed to helping the charity raise funds to develop better facilities to ensure a better future in the country. Jacqui is an active participant in fund raising events, completing the abseil at the launch, running stalls and organising the celebration evening after her partner David completed the Land’s End to John O’Groats cycle. To help people whose lives are affected by mental health conditions in Uganda.